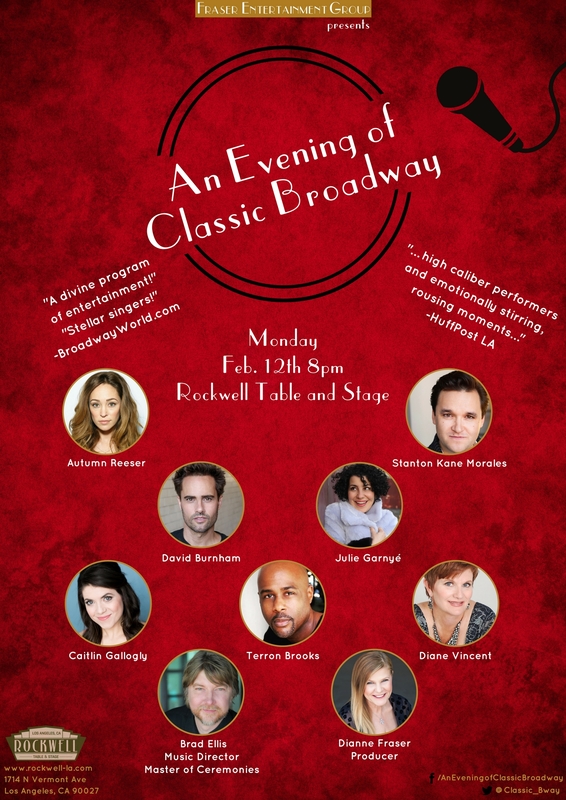 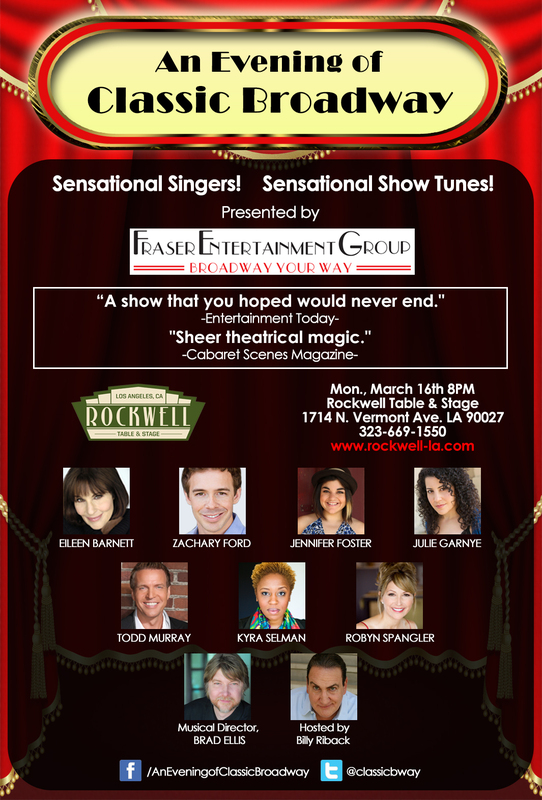 An Evening of Classic Broadway will be performed on Monday, March 16th. 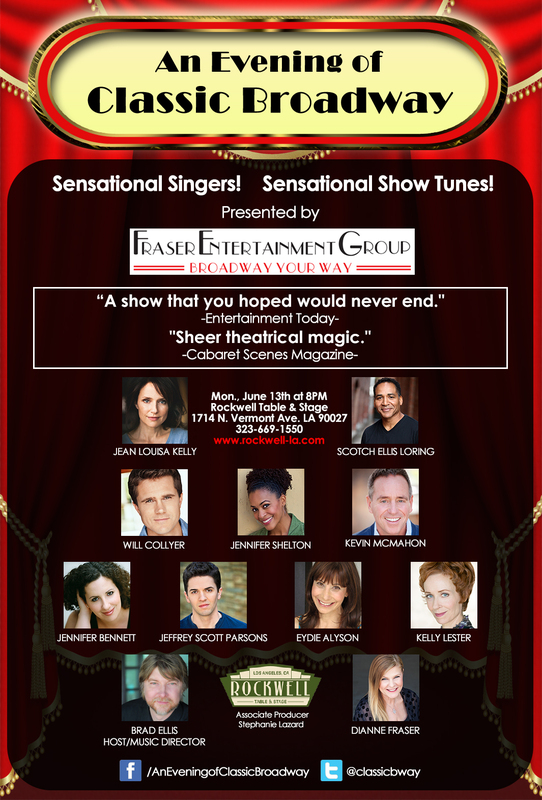 A new and exciting cast is set to perform. 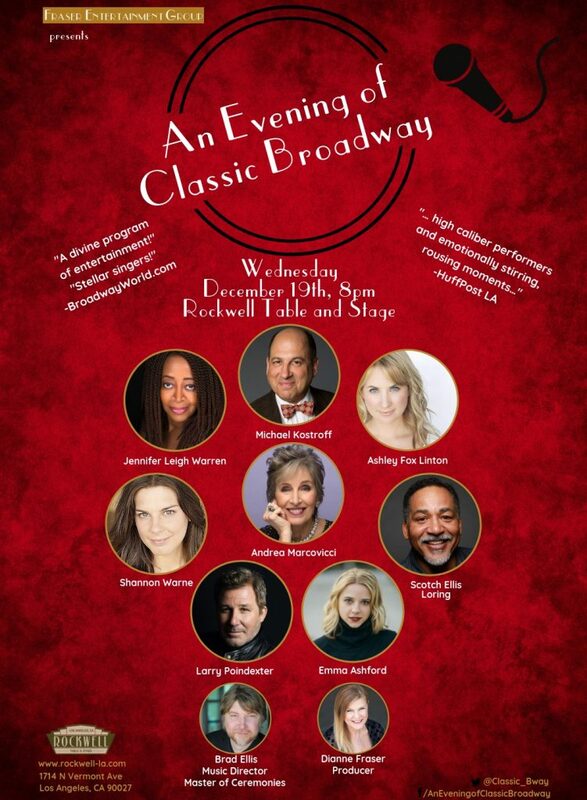 An Evening of Classic Broadway will be performed on Wednesday, April 22nd. 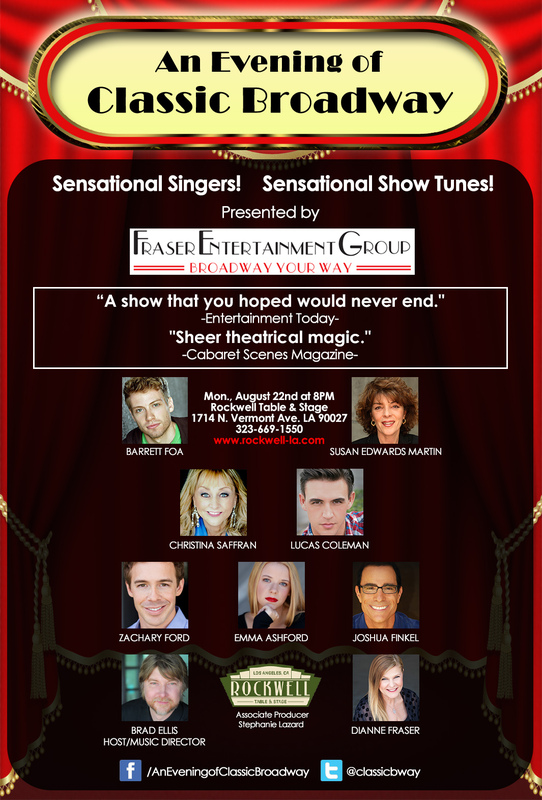 A new and exciting cast is set to perform. 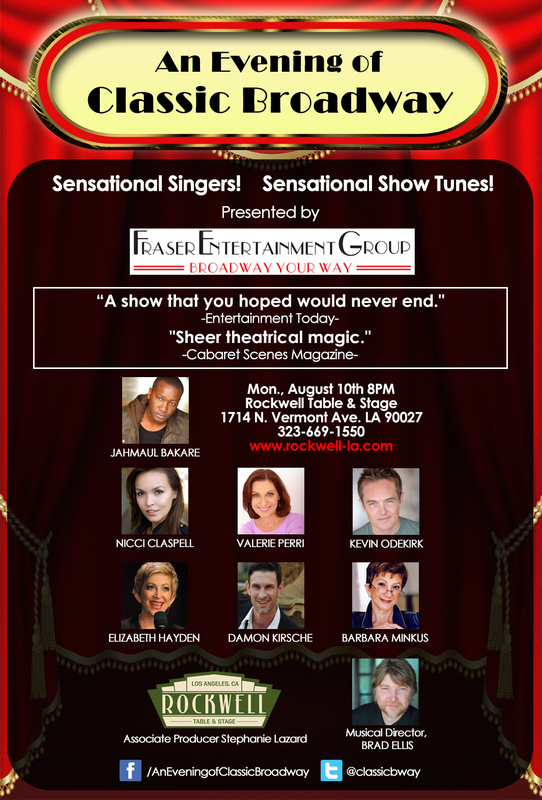 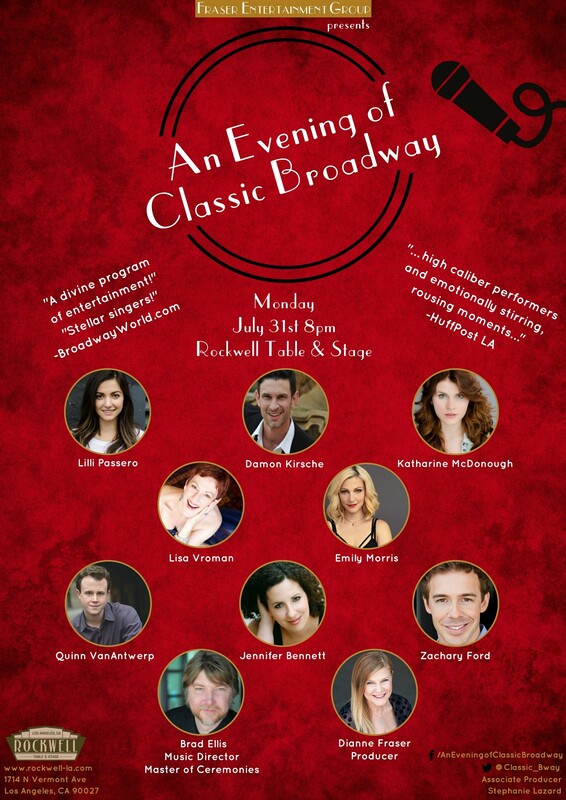 An Evening of Classic Broadway will be performed on Monday, August 10th. 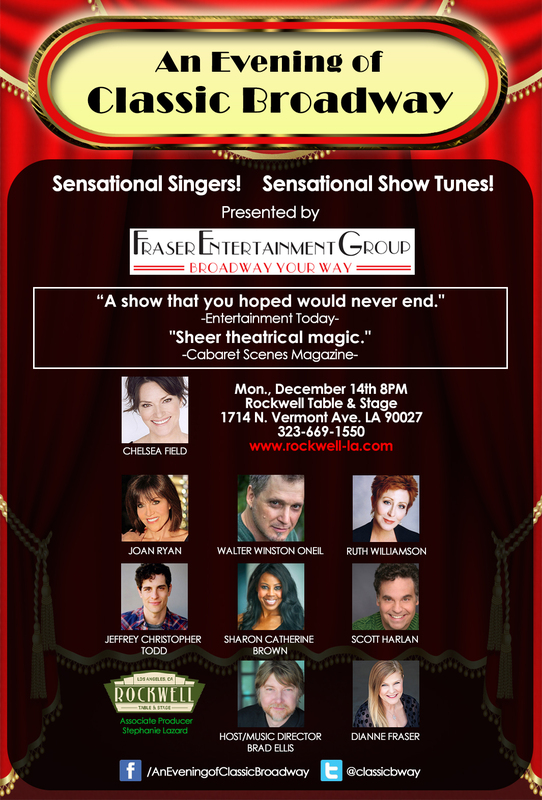 A new and exciting cast is set to perform. An Evening of Classic Broadway will be performed on Monday, September 28th. 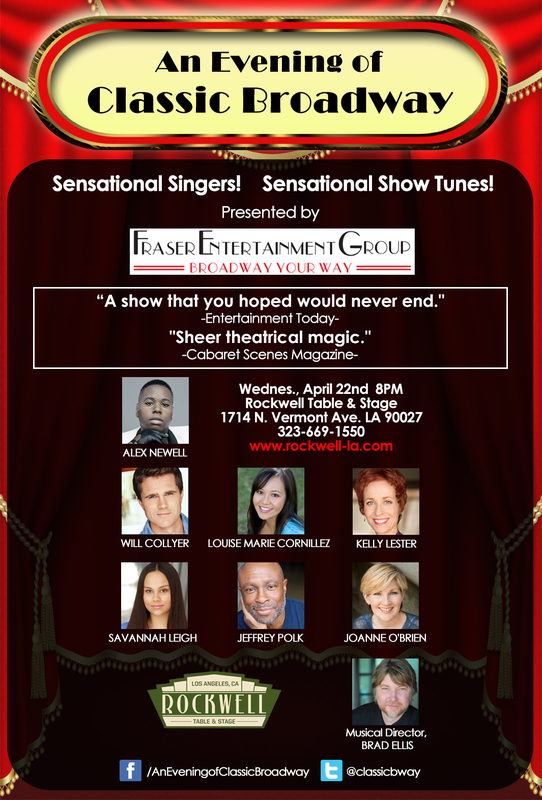 A new and exciting cast is set to perform. 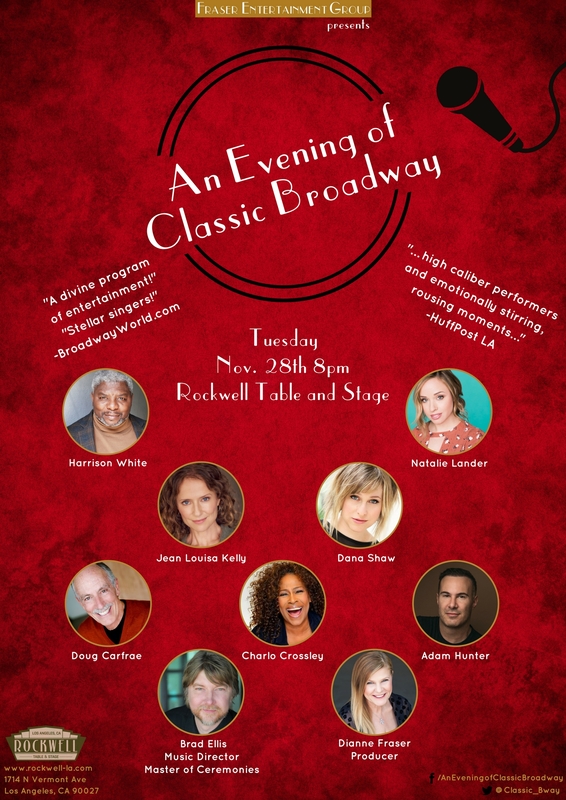 Following spectacular performances at Los Angeles’ Rockwell Table and Stage, Upstairs at Vitello's, The Catalina Jazz Club and the El Caballero Country Club, Fraser Entertainment Group comes to The Metropolitan Room with the critically-acclaimed AN EVENING OF CLASSIC BROADWAY. 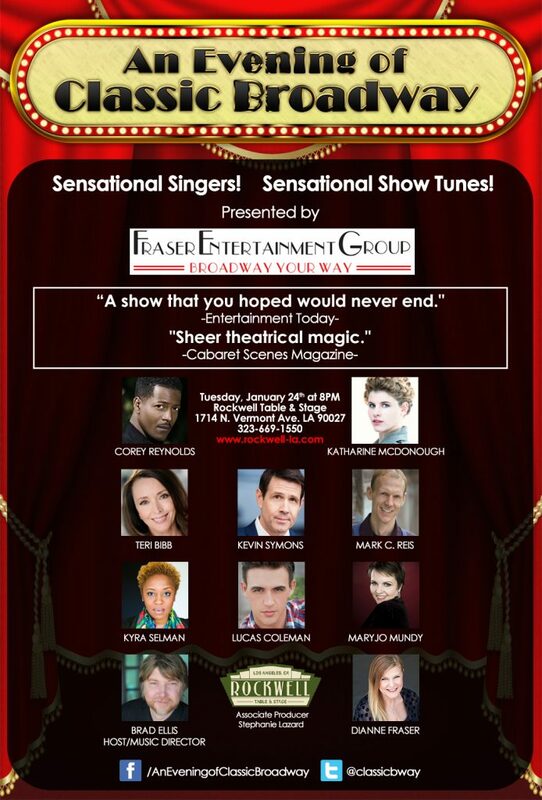 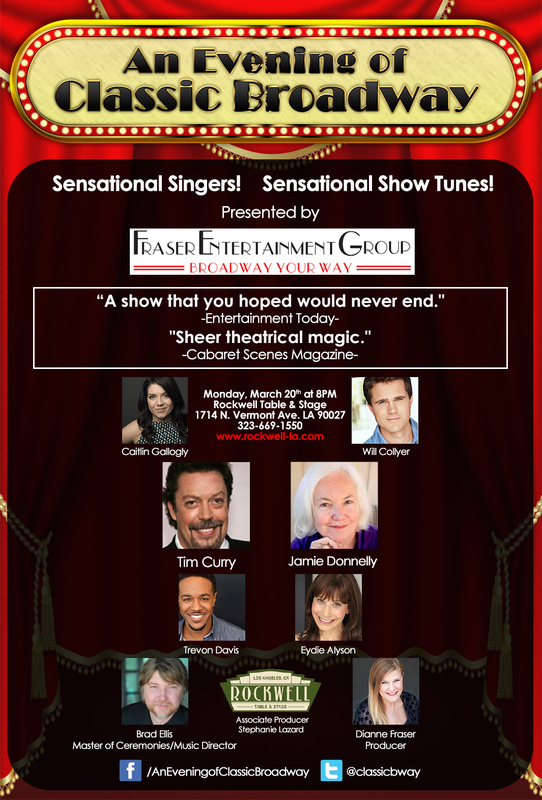 This show welcomes a new cast of superb singers from Broadway, television and film with each new appearance of the concert series. 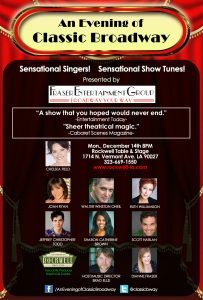 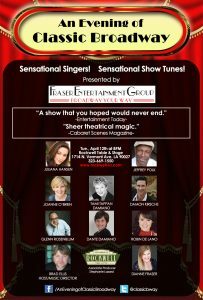 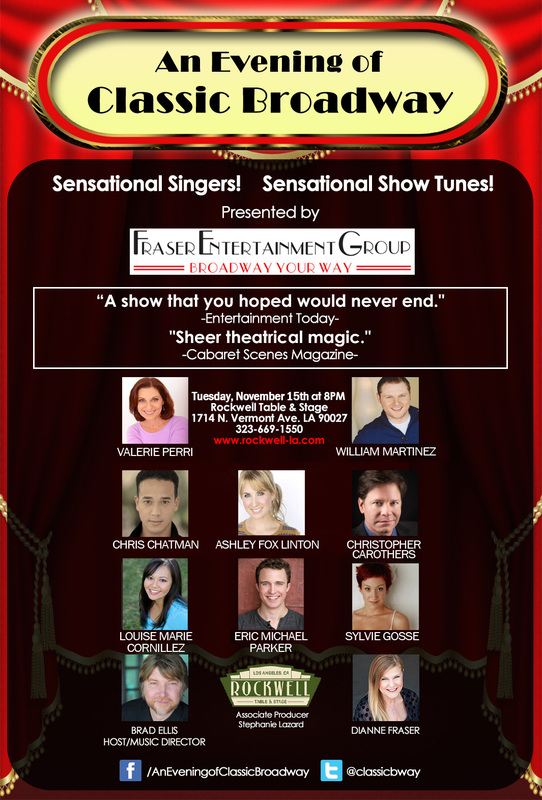 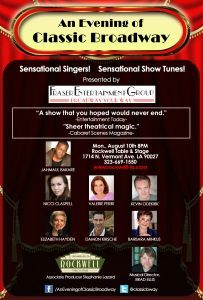 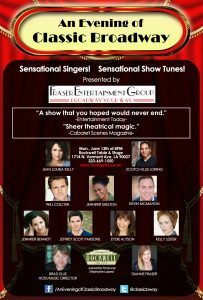 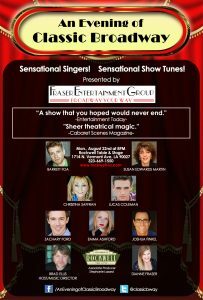 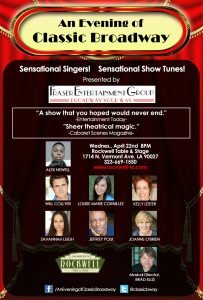 If you love show tunes, you will relish Fraser Entertainment Group’s dazzling evening of songs from landmark musicals. 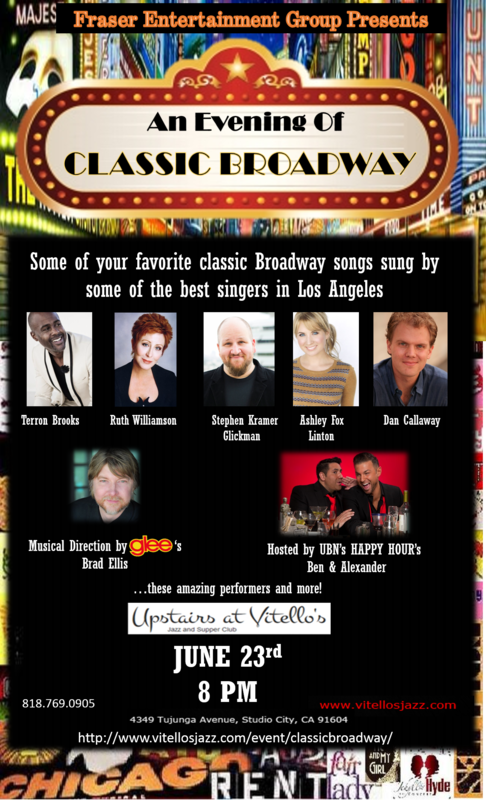 You’ll get goose-bumped and teary-eyed hearing dynamic renditions of your favorite numbers from classic shows, as well as classics from smaller/lesser-known Broadway musicals - always peppered with fun and laughs! The evening will be musically directed by Michael Lavine, who has worked as a musical director, pianist, vocal coach and singer all over the world. 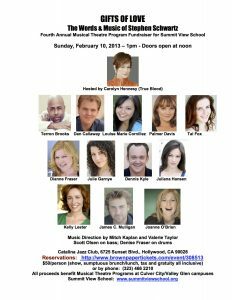 He gives master classes on auditioning in New York, Los Angeles, Australia, Martha's Vineyard and other locations and has worked several times at the Shanghai Theatre Academy. He works regularly with Heather MacRae on her show about her father, Gordon and has accompanied Broadway and television star Bryan Batt in New Orleans, at 54 Below, Feinstein's and the Metropolitan Room. 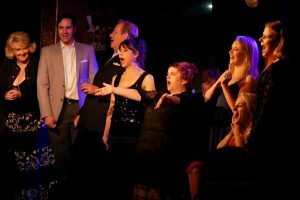 He musically directed Bryan's show BATT ON A HOT TIN ROOF at the Adelaide Cabaret Festival in Australia, touring subsequently to Melbourne and Sydney. 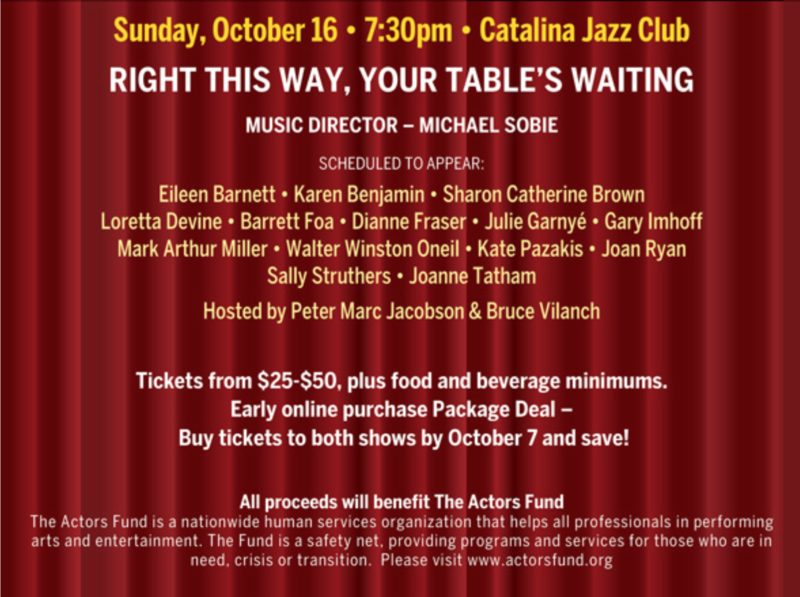 He regularly plays for the Outer Critics Circle Awards and musically directed the Broadway Cares Teddy Bear Auction for its entire 15-year run. 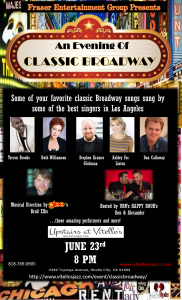 Michael has conducted orchestras in Wichita, Kansas, Traverse City, Michigan, and Beverly, Mass., among other cities. 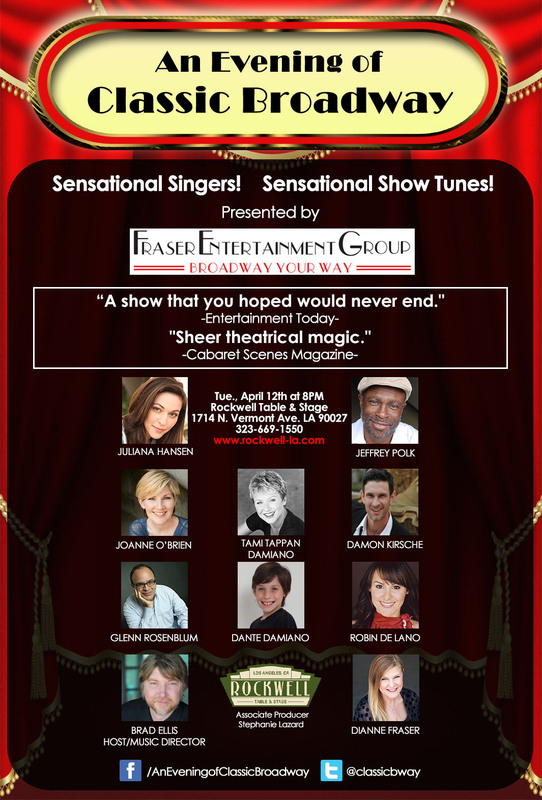 He co-produced and musically directed the American premiere recording of HONK! 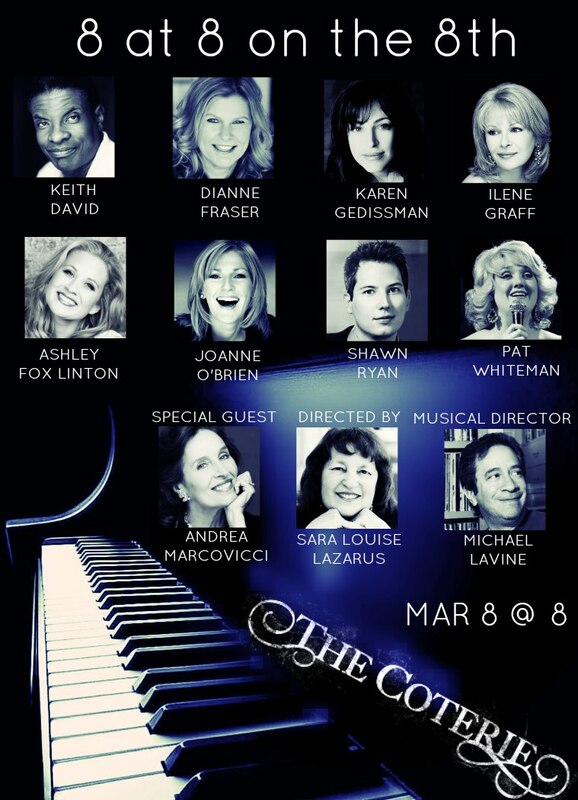 At the York Theatre, Michael served as musical director for the Comden & Green musical BILLION DOLLAR BABY starring Kristin Chenoweth, Marc Kudisch and Debbie Gravitte and the Burton Lane/Alan Jay Lerner musical CARMELINA. 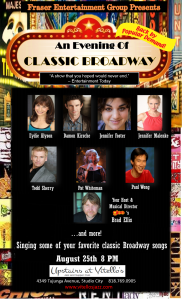 He shared the stage with Mimi Hines and Peter Howard (his mentor) at the Kennedy Center in a Rodgers & Hart revue, THIS FUNNY WORLD. Michael is known for owning one of the largest privately held sheet music collections in the world. 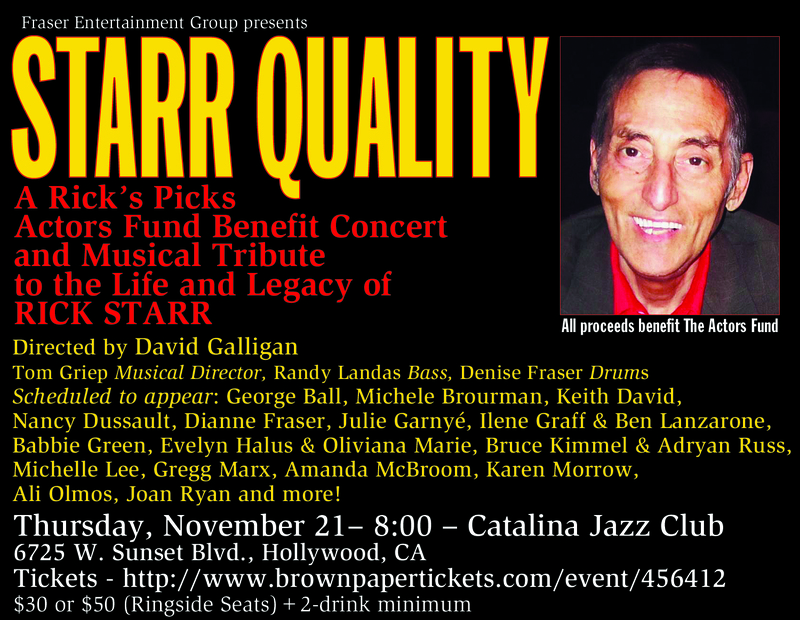 Other shows presented by Fraser Entertainment Group include Starr Quality, Actors Fund Benefit and Tribute to Rick Starr, and Gifts of Love: the Words and Music of Stephen Schwartz, both at the Catalina Jazz Club, as well as the 4-night, 4-venue Actors Fund benefit concert event, CABARET IS ALIVE AND WELL AND LIVING IN LOS ANGELES directed by David Galligan, which will return for a second engagement this fall. 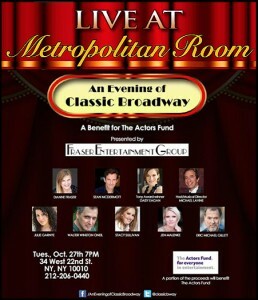 The Metropolitan Room presentation will mark the ninth installment of AN EVENING OF CLASSIC BROADWAY. 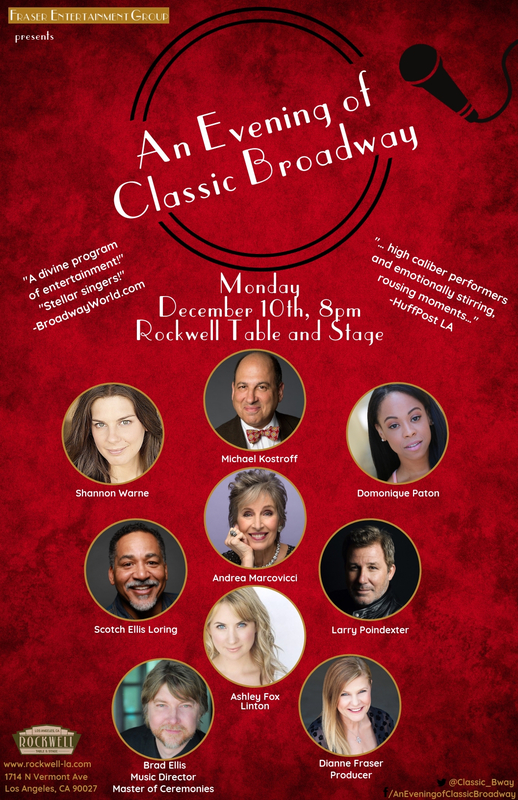 An Evening of Classic Broadway will have its final performance of 2015 on Monday, December 14th. 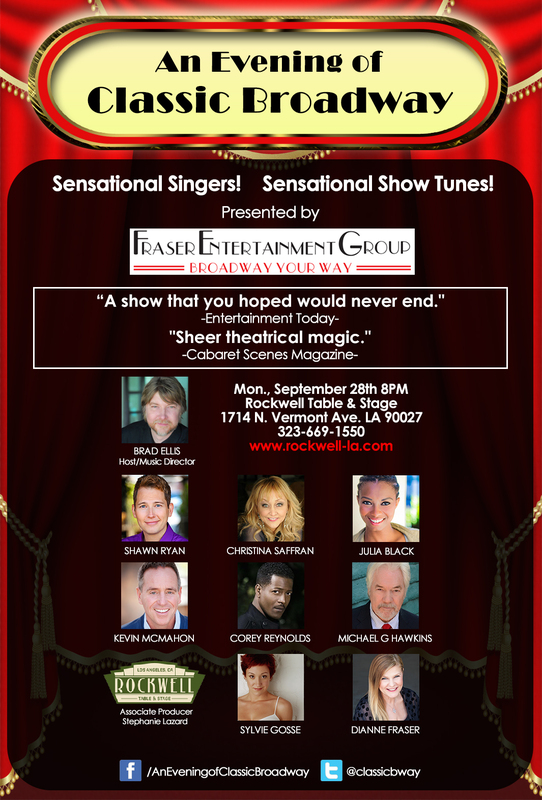 A new and exciting cast is set to perform. 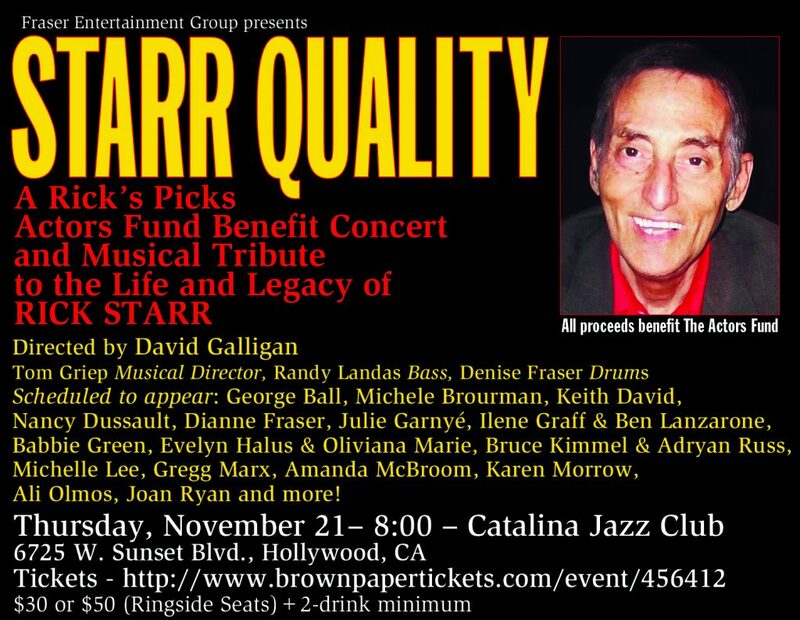 Dianne Fraser always lend their superb talents to the evening. 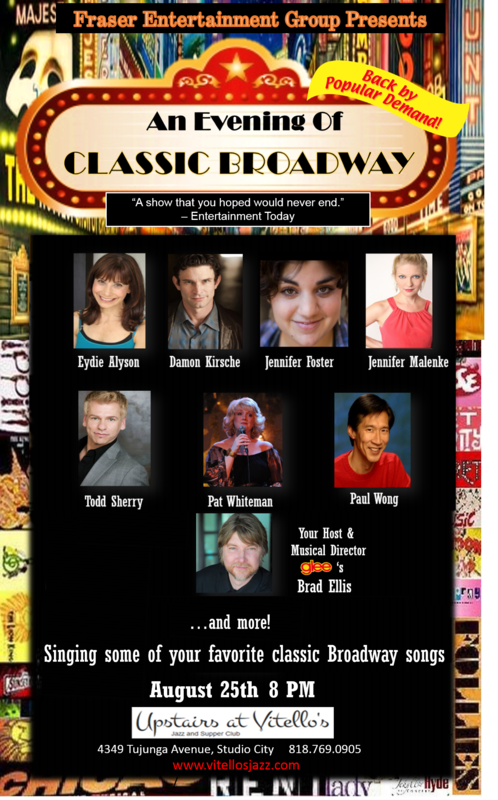 An Evening of Classic Broadway will be performed on Monday, August 22nd. 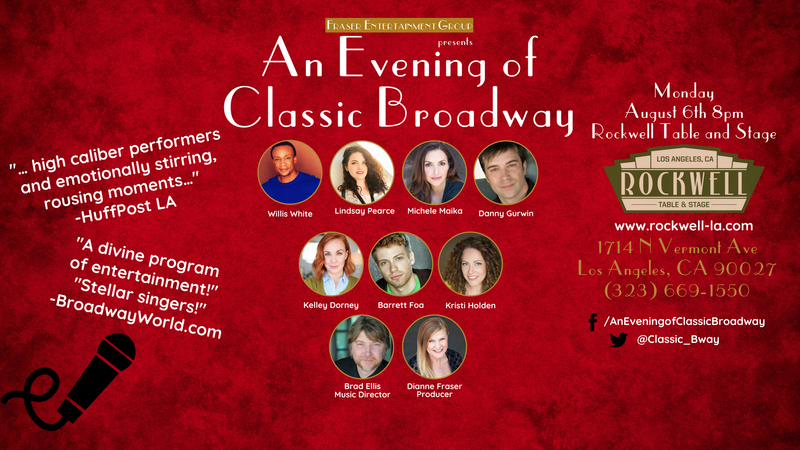 A new and exciting cast is set to perform. It's our second annual Mother's Day show. 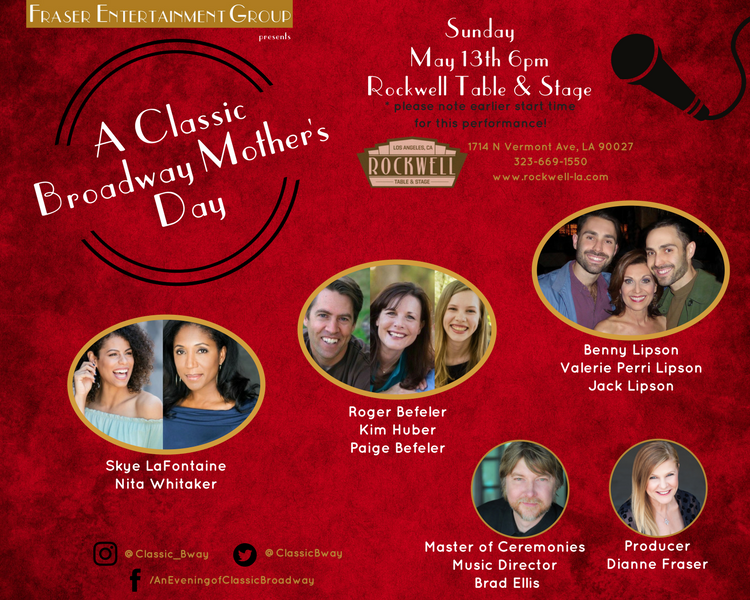 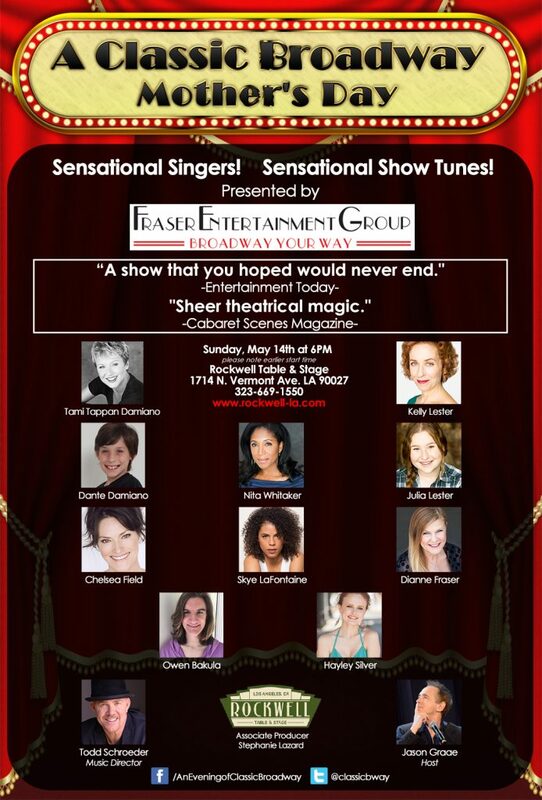 Doors open at 4:30 for the 6PM (PLEASE NOTE THE EARLIER START TIME FOR THIS PERFORMANCE) songfest on Mother's Day, Sunday, May 13th at Rockwell Table and Stage. Music Director and Host, Maestro Brad Ellis, leads the cast of sensational parents and their talented offspring: Nita Whitaker & Skye LaFontaine, Kim Huber, Paige Befeler & Roger Befeler, Valerie Perri Lipson, Benny Lipson & Jack Lipson. 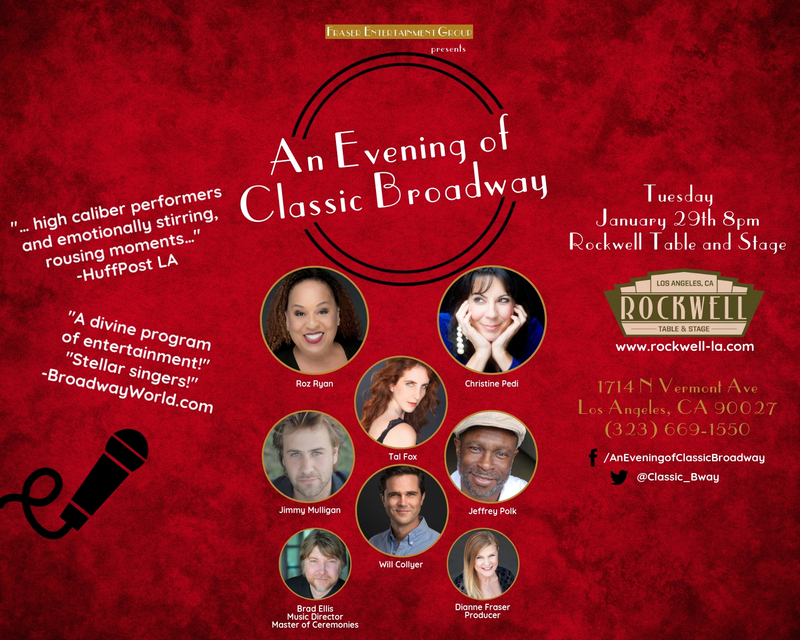 as the popular Classic Broadway concert series continues its fourth year at Rockwell. The fifth annual Cabaret is Alive and Well and Living in Los Angeles, a 3-night, 3-show, 3-venue celebration of Los Angeles Cabaret weekend benefit for The Actors Fund takes place October 12th-14th. 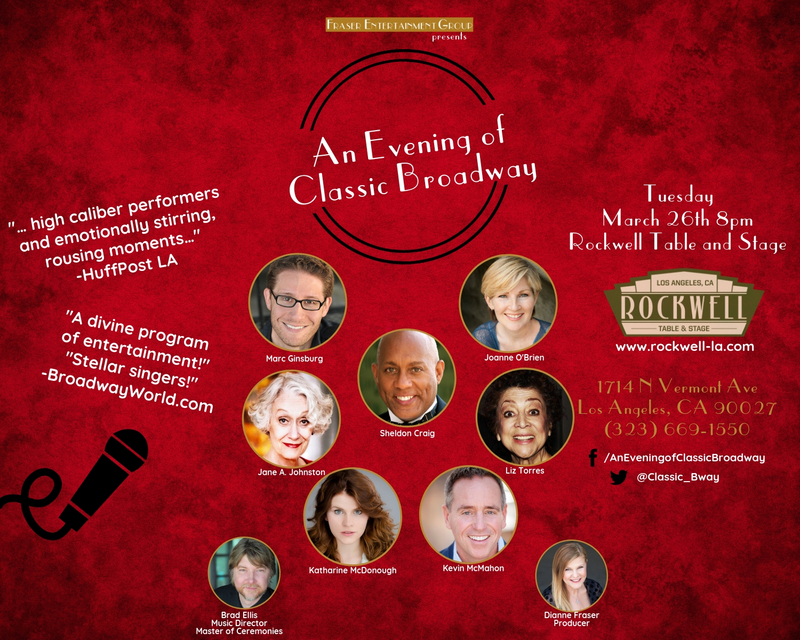 Please visithttp://brownpapertickets.com/event/3593724 for tickets information about Night #1, “Together At Last for the Fifth Time” at Tom Rolla’s Gardenia, and #3, “Come Hear the Music Play” at the Catalina Jazz Club, and https://vitellosrestaurant.ticketfly.com/event/1764612 for tickets and information about Night #2, “It Takes Two” Upstairs at Vitello’s. 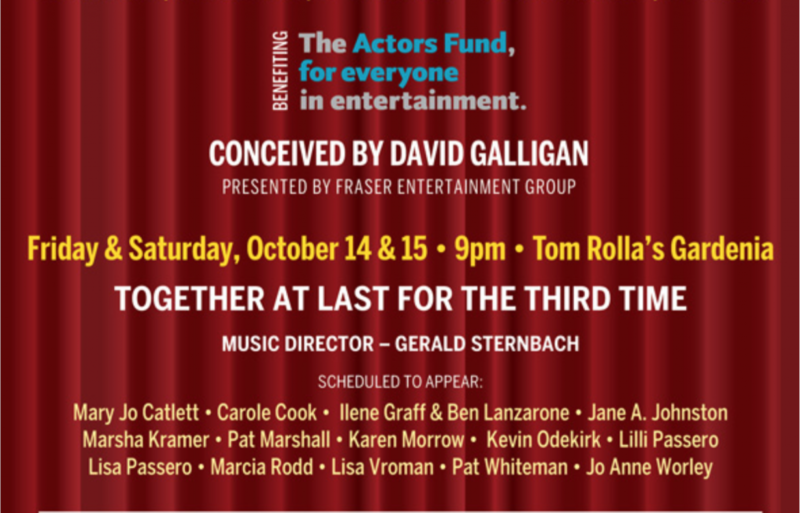 Conceived and Directed by David Galligan and presented by Fraser Entertainment Group, the Friday-Sunday Actors Fund event features performers from the worlds of stage, film, television and cabaret. 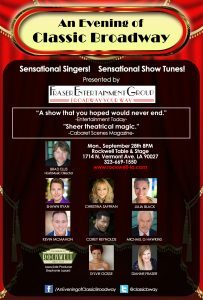 Tickets from $25 per person plus food/beverage minimum. 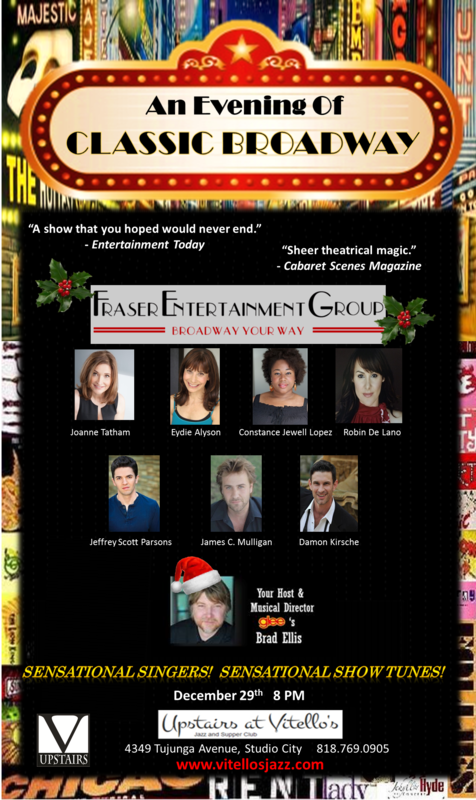 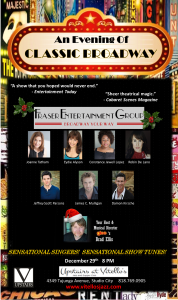 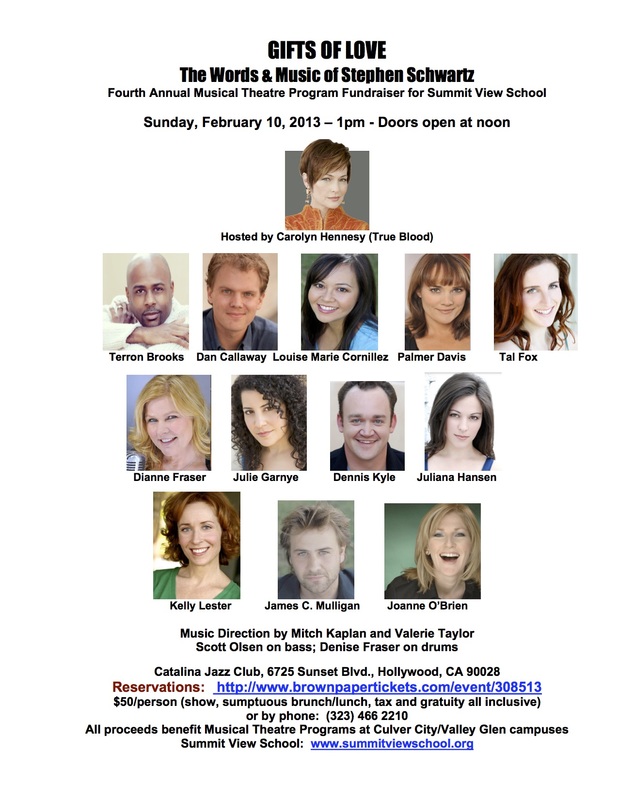 All proceeds benefit The Actors Fund.